sportsmatrix » Premier League race – will last season’s Fab Four split up? With a series of exciting signings joining the Premier League ranks over the summer, the coming season is one of the most eagerly anticipated in recent memory. One of many intriguing questions that will be answered is will last year’s top four of Manchester City, Chelsea, Liverpool and Arsenal remain intact? We looked at last season’s data and found some clues. The pressure will be on defending champions City to prove they have the mental fortitude to retain the title, a feat they have yet to achieve in a 134-year history. Their 102 goals in 2013-14 was one short of the Premier League record. With the goals of the lethal Sergio Aguero capably backed up by fellow striker Edin Džeko and Yaya Toure from midfield, part of City’s secret to success was their shot-happy attitude. Taking into account (17 key) games from over the season, City peppered the opposition goal with an average of 17.5 shots per game, more than any of their top four rivals. Chelsea’s big money arrival Diego Costa almost had the limelight stolen by the return of a Stamford Bridge legend, Didier Drogba. Whoever has the bigger profile, The Blues will surely benefit from bolstering their frontline, which managed 71 goals last term. 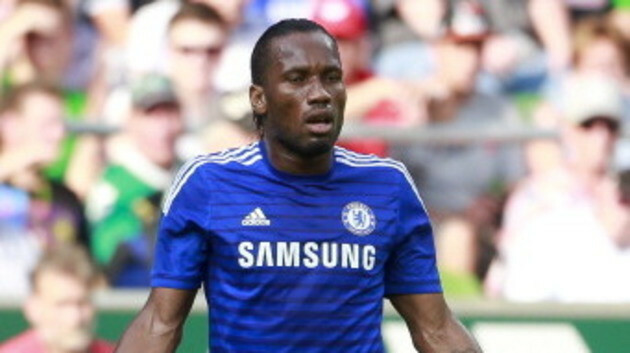 Drogba looks certain to provide an aerial presence they missed when relying on the likes of Samuel Eto’o and Fernando Torres – Chelsea averaged just 0.1 goals a game from headers, the lowest in the top four. They also have the joint-least number of goals per game from crosses – 0.3. Liverpool might be the most likely to drop out of the top four, after losing the Premier League’s top scorer Luis Suarez. The controversial striker provided 31 goals last season; they will miss his inventiveness and clinical finishing, as well as set pieces. Liverpool averaged 0.8 goals per game as a result of dead ball situations, the highest in the top four – will Steven Gerrard and Coutinho pick up the baton in this respect? Arsenal signed one of the stars of the World Cup, Chile’s Alexis Sanchez. Sanchez lit up Brazil 2014 with his livewire performances – bringing 2 goals and 1 assist on the way to the Round of 16. Now The Gunners will be hoping he can gel quickly with their brand of slick-passing football, part of a doctrine which preaches working openings inside the box, rather than trying from distance. Arsenal’s goal average from outside the box was a top four-low of 0.1 per game. It could be City’s ability to create scoring chances from a variety of sources which could carry them to second consecutive Premier League crown. Only Manuel Pellegrini’s men created ‘dangerous’ opportunities from over 20 per cent of their build up moves in all categories with the exception of long balls – passing, dribbling, counter-attacking, winning the ball back from the opposition and set pieces. Whichever style prevails this season, we can look forward to the frenetic pace and physical battles the Premier League is famous for – this is why it’s the most popular league in the world. « Could King James prove a Real mistake?